Free coffee is back at Mcdonalds! 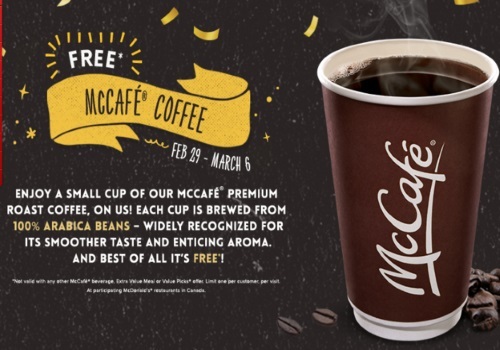 Grab a Free Small McCafe Coffee at Mcdonalds! No purchase is needed, just ask for the freebie! Offer is valid February 29-March 6, 2016.